Whether you're into machine embroidery, cross-stitch, gold-work, hardanger, patchwork & quilting, lacemaking, textile art, knitting, crochet, mixed media or any other form of stitch or needlework, we are here for you.....! 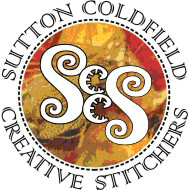 Our aim is to provide an opportunity for like-minded stitch enthusiasts of all ages and abilities to meet on a regular basis, sharing and learning a variety of skills through expert speakers, lively workshops and occasional outings. Why not come and join us at one of our meetings. Take a look at our programme of events and see if anything appeals to you. Our speakers are entertaining and informative, and our 'hands-on' sessions are fun and friendly. 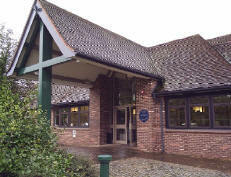 "New members and visitors are always very welcome. You don’t have to be a talented or experienced embroiderer, all you need is an interest in art and textiles."